The washing off of oll and the rehabilitation of 239 oiled seabirds continues at the Sanccob rehabilitation centre in Cape St Francis this week. This follows the running aground of the cargo ship Kiani Satu at Knysna earlier this month and the the subsequent leakage of oil from the ship. The German bulk carrier has since been re-floated and towed out to sea where it sank yesterday morning in deep sea. The first group of oiled African penguins was washed on Tuesday (20 August) after a few days of intensive care which involved improving ther strength and hydration of the birds. To date 108 Cape gannets and 13 African penguins have been washed and rinsed by the team. For the next few days the washed birds will continue to be fed, hydrated and will swim in the pools to regain their natural water-proofing. Today Dr Nola Parsons is evaluating the washed birds by weighing them and taking blood samples in anticipation of their release in the next couple of days. The birds are also being banded with unique identifying bands in order to monitor them post-release. 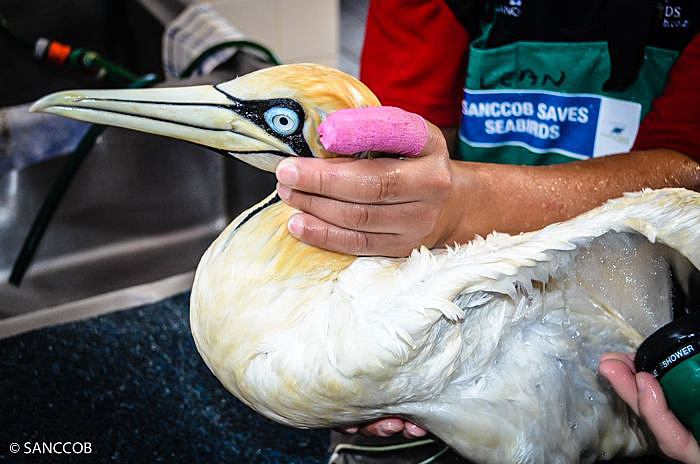 Currently Sanccob is managing the situation on the ground and requires no additional volunteers to assist with the seabird rehabilitation operation. Sanccob’s Executive Director, Margaret Roestorf, says: “Once again the suddenness of the Kiani Satu spill shocks us into realising the speed at which oil spills plays out and reinforces the need for preparedness. Two years ago Sanccob made strategic decisions in order for our Oiled Wildlife Unit to be ready to mobilise quickly anywhere in Africa or Sub Antarctic. To date, the Southern African Foundation for the Conservation of Coastal Birds (SANCCOB) has admitted 66 oiled African penguins, 172 oiled Cape gannets and one White-breasted cormorant following the Kiani Satu oil spill. 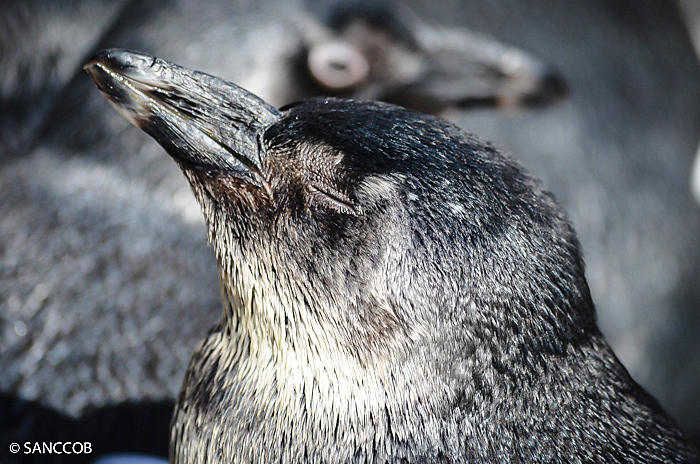 The oiled African penguins were admitted from Mossel Bay, Wildnerness, Plettenberg Bay, Still Bay, Cape St. Francis and three penguins from Bird Island. The oiled Cape gannets and African penguins from Bird Island were air-lifted via helicopter and transported by road to SANCCOB’s facility in Cape St. Francis by SANPark’s Marine Rangers Section. The only White-breasted cormorant admitted to date is from the Buffels Bay area, nearby where the Kiani Satu bulk carrier ran aground on 8 August 2013.